There are communities of people who live their lives in two places at once. Residents of Detroit, Michigan, and the small town of San Ignacio, Mexico, for example. In her book, historian Luz Maria Gordillo sets out to explain the history of this phenomenon, which dates back to the 1940s when the Bracero Program started bringing temporary Mexican laborers into the Midwest. She hones that focus to women from San Ignacio who started moving into Detroit in the 1970s. Tracing the connections back to the first families to move to Michigan’s largest city, Gordillo explores how hometown and cultural connections helped the women become established in their new community—figuring out where to live, work, and send their children to school. Most have settled into an area called Mexican Town. Looking deeper, she focuses on several women to see how their relationships and senses of identity are affected by the migrations. Because the men of San Ignacio left first to work in the United States, the women of San Ignacio had to take on the more typically male roles of local bread-winners and decision-makers. The changing gender roles carried forward when these women moved north to work and be closer to their husbands and families. Though many of the families Gordillo writes about have moved permanently to Detroit, they still maintain ties to their old town, sending money to help their families, building themselves retirement homes and making improvements. Every January, the San Ignacians return home to reconnect with their families and communities. Both Detroit and San Ignacio “are integral to their everyday lives and should be considered parts of a whole,” Gordillo writes. 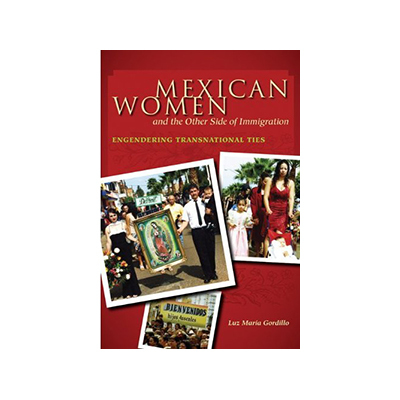 While the book is a scholarly historical and anthropological assessment, it’s of value to the general reader because it opens a view into the lives and ideals of the people, particularly women, who have migrated to the United States to work and be with their families. By telling the stories of real families, including one where the husband has a green card, the young son is a citizen, and the wife is undocumented, Gordillo shows us how complicated life for her subjects can be. Luz Maria Gordillo teaches history and women’s studies at WSU Vancouver. Some of her classes center on women’s history and Latin American issues.